Hand-picked by Nashville rock songwriter Soccer Mommy. There are certain adjectives that spring to mind when you think of music by a "Bandcamp band" — demo-like, atmospheric, off-the-cuff. "Bandcamp artists usually aren't expecting to get a huge reaction," said Sophie Allison, the 19-year-old songwriter who records drowsy bedroom rock songs as Soccer Mommy. "It's more like, Here are these songs, I hope that you like them." Allison would know; she's made a lot of friends and fans by being active on Bandcamp, by following tiny labels and casually uploading her own lo-fi lullabies (some of which were recently included on her Fat Possum debut, Collection). Here, she shouts out some of her personal favorite songwriters and bands that she considers "Bandcamp artists," a group of DIY-ish characters loosely linked not simply by sound but by vibe, by a kind of rough-hewn earnestness that's tricky to define with words. Listen to her picks in no particular order, below. 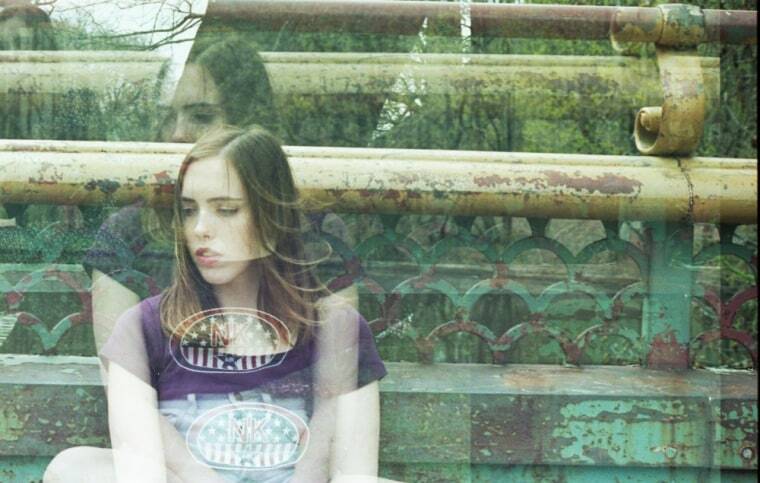 SOCCER MOMMY: I found Cat Be Damned before I was even listening to Bandcamp music. I was trying to figure out how to use it, and I was browsing by genres. I found a demo of the song "Come Over," and I really liked it, so I bought it. Later, when I was listening to other Bandcamp music like Elvis Depressedly, I listened to more of Cat Be Damned's stuff. That was right before they put out their album Daydreams in a Roach Motels, which is really good. I love the tone of the guitar — I don't like when people say that, it's like, Shut up, you just like the song — but it just sounds so good. This is my good friend from Nashville. His name is Kelton. I actually released a tape for him — it was the only tape I ever released on my label, Soccer Tapes. His music is jazzy pop, like Stereolab or something. He's so talented. It's a solo project, but he plays with a band live. He plays at a lot of shows that I play at in Nashville. Whenever one of us books something we're like, Let's play together. I found Bulldog Eyes after Cat Be Damned posted about them. The music's really muted-sounding; it just kind of all blends together as one sound. It has really good chord progressions. It's really well-produced. Perfect bedroom pop. "Gross" is a really great song. I played their first show with them, this past year in New York. They're so crazy live. I was like, This is there first show? They stayed in my dorm. I really like them. It kind of has that jazz-y concept to it, but with a fresh new feel. And it's catchy. I think it's cool when people clearly studied jazz theory and apply it to modern music. They're going to blow up, I think. Theres was one of the first tapes I ever ordered on Bandcamp. It was Taster, the first pressing. I followed Sports Day Records, and they were promoting it. The art was really cool, so I checked it out, and it was super good. I like the production, and the laid-back, vulnerable songs. I would always drive to "Problem" in the middle of the summer. It sounds so good with the windows down. It's a two-piece — just guitar, vocals, and drums. It's so tight, kind of shoegaze-y. Very ’90s. The guitar lines are really catchy. It's not just like, shredding for fun. [Their singer Lucia] has a really distinct voice. They just released a tape on Exploding In Sound. I have the cassette in my car. Every song I'm just like — Ah, another banger. The music is so beautiful. They're good at writing really beautiful guitar lines that just twinkle. I saw them play at Yohuna's album release show. I was listening to it like, Woah, this is crazy. It's really warm and ambient, with beautiful melodies. It's laid-back soft rock that's super emotionally touching; I just want to cry listening to it. I don't know anything about them, but they make chill bedroom rock songs with lo-fi production and really catchy melodies. It almost sounds like Yo La Tengo. Someone played it in the car once and I was like, This is a Bandcamp band. This is where I'm gonna find it. Then I checked out their other albums — they're super good.